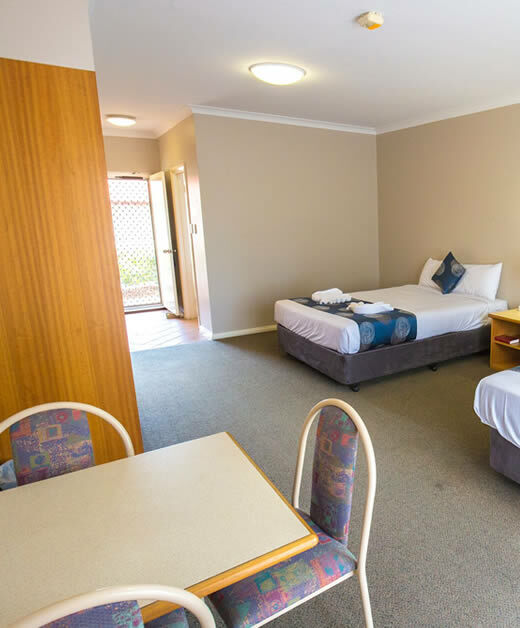 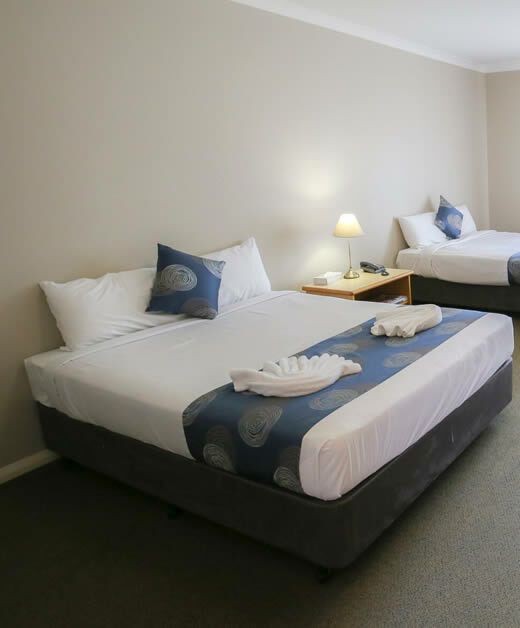 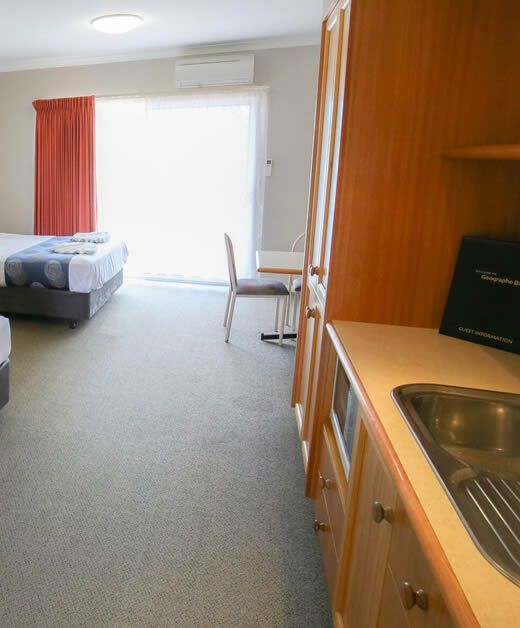 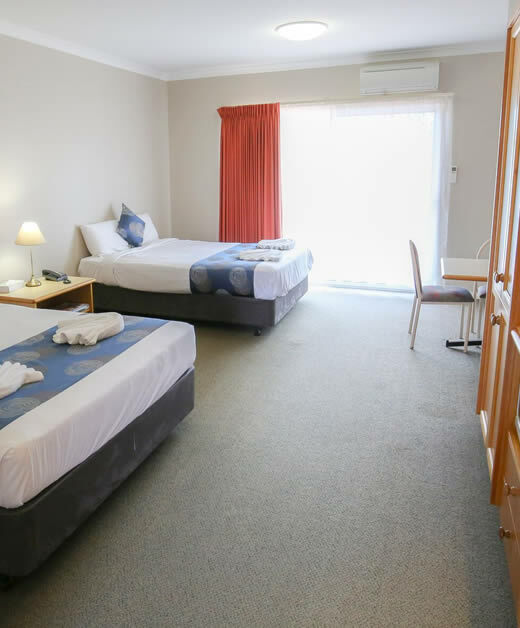 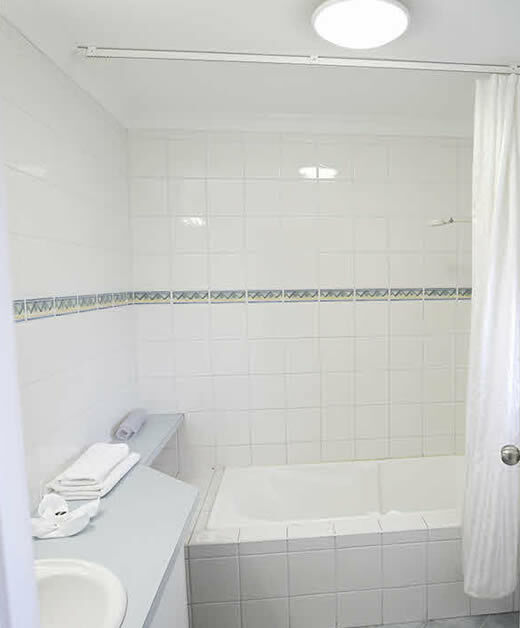 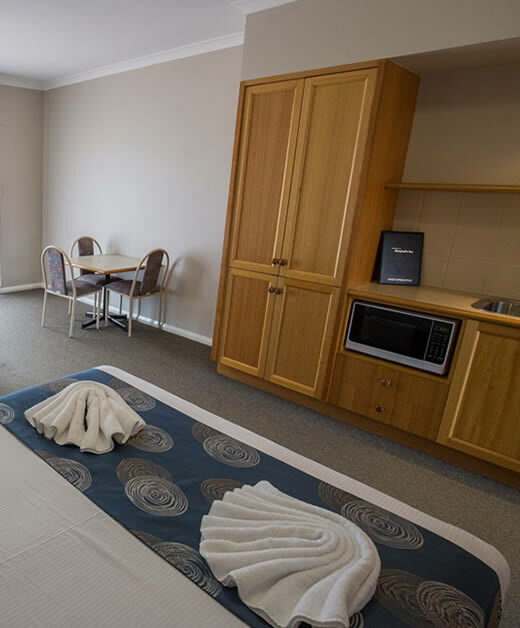 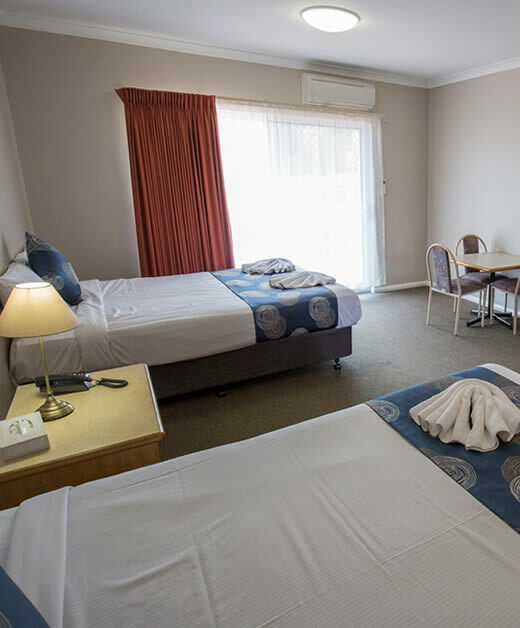 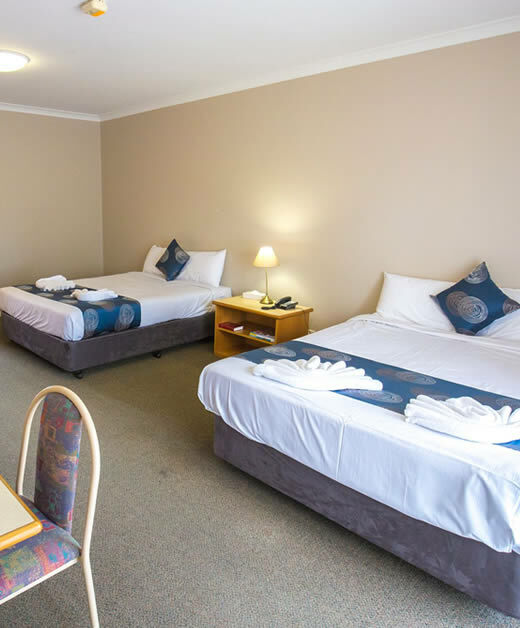 The Esplanade’s Deluxe Motel Rooms are fully self-contained with 2 queen sized beds in each room. 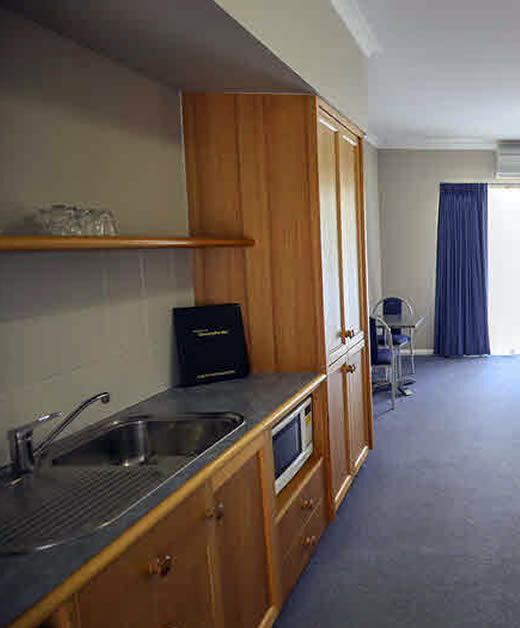 Together with the bedding, each room has a TV, fridge, kettle, microwave and ensuite bathroom. 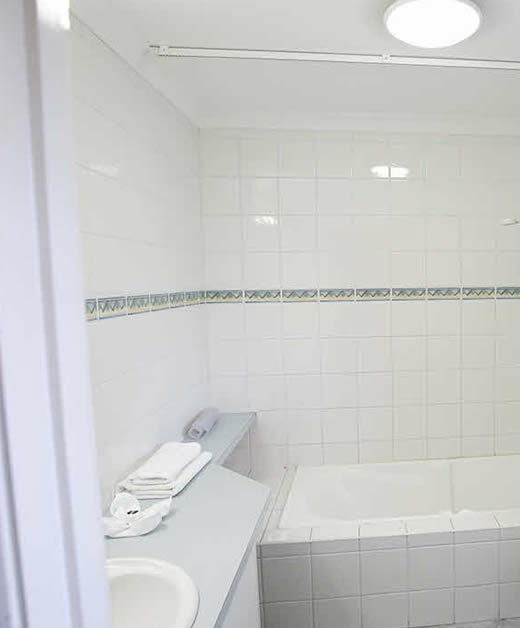 Within the bathroom, once you step into the bath you have a full sized shower head and instant hot water.